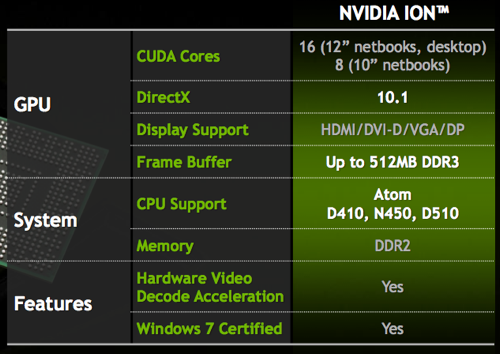 Expect a raft of souped up netbooks to follow Nvidia's launch of its second-generation Ion graphics platform today. Acer announced its Ion 2-based netbook, the Aspire One 532G, earlier this year, but it'll be joined by Asus, which today took the wraps off the 12in Eee PC 1201PN. It also launched a couple of Ion 2 nettops, all at the CeBit show. Nvidia claimed more than 30 Ion 2-based machines - netbooks, nettops and small form-factor desktop PCs - will have appeared by the summer. 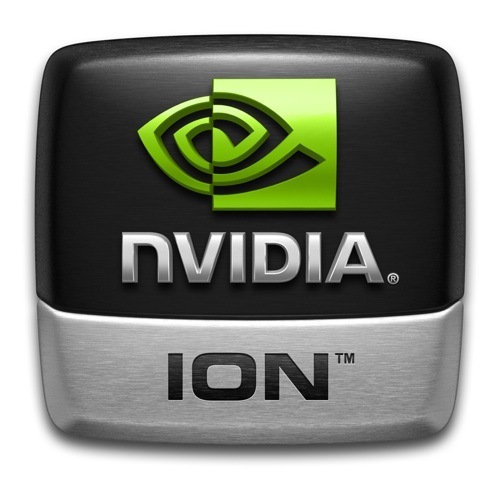 Vendors have signed up for the new Ion, Nvidia said, because of the big boost it delivers over the GPU Intel integrated into its second-generation Atom processors, codenamed 'Pineview': 15 times the performance Intel's latest netbook GPU can deliver, it claimed. The 2G Atom line-up comprises the N450 for netbooks, and the D410 and D510 single- and dual-core parts for desktops. All three contain Intel's GMA 3150 graphics core, a tweaked version of the GMA 950 that was built into the 945GME chipset used in almost all of the first-gen Atom netbooks and nettops.